An essential bar tool that saves you time and money. 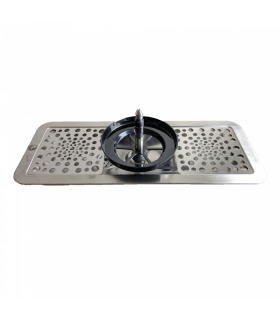 The rinser is an essential tool for every coffee shop, restaurant or bar. It rinses milk pitchers, boston-shakers and any other vessel of this size. The pitcher rinser works without electricity, just by pressing the vessel on the metallic disk. It sprays water under pressure into the utensil and rinses it in seconds. 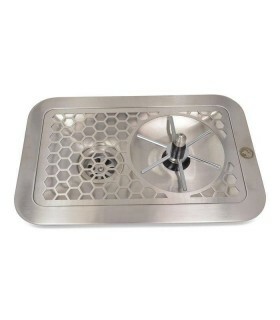 The Rhinowares pitcher rinser has a drainer so that you can drain your vessel once you rinse it and a large actuator for a broader range of equipment. 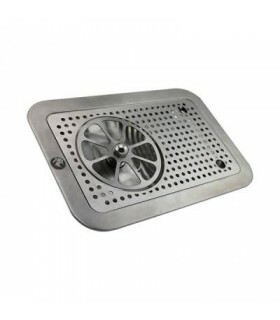 Better Drainage - The 3 piece drain tray has an improved design to ensure there is no static build-up of residue along with a generous drain outlet. Multiple Rinser Positions - The RHPR600 has an extra position allowing you to move the rinser to the centre or leave at one end. 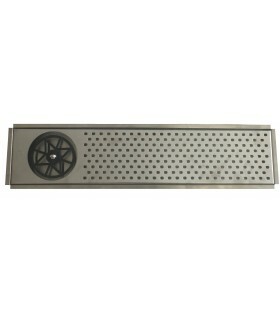 With the 3 piece grate design, this makes it very adaptive to many environments and allows for best orientation. Another idea is to put an additional rinser in place, this option is great for busy cafes or to allow for dedicated purpose – for example use one sprayer for milk and the other with spinjet for tea plungers (watch out for our blender adapter coming soon). 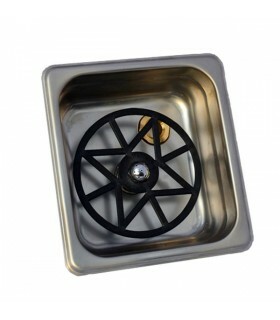 Optional Spinjet Spray Mechanism - The new spinjet valve sprays and spins at the same time creating a more robust mechanical cleaning action than normal rinsing valves. It is ideal for plungers using tea & coffee grounds, milk and other residues that tend to hold firm. Click here for me details on this piece. Install Parts included with each rinser you will find some fittings and hoses to make installation easier ( 3/8 push fit inlet plus elbow option, 1 metre of inlet hose and drain hose with clip).